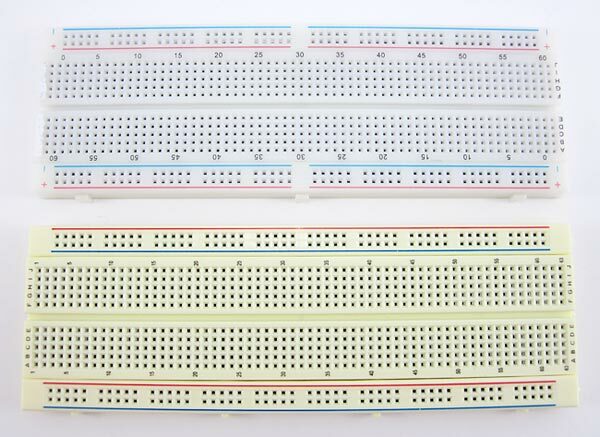 Technically, these breadboards are called solderless breadboards because they do not require soldering to make connections. Soldering (pronounced SAW-der-ing) is a method where electronic components are joined together by melting a special type of metal called solder. 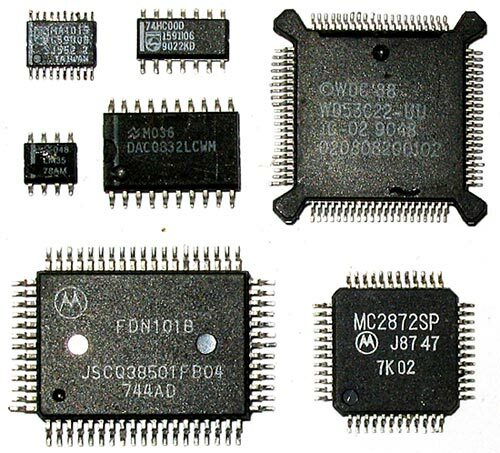 Electronic components can be soldered directly together, but more commonly they are soldered onto printed circuit boards (PCBs). PCBs are what you will see if you take the cover off many electronic devices, like a computer or cell phone. 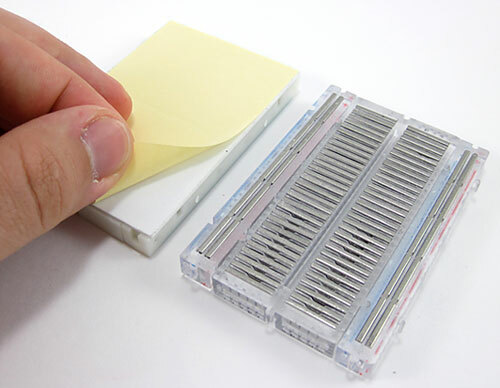 Frequently, engineers will use solderless breadboards to prototype and test a circuit before building the final, permanent design on a PCB. 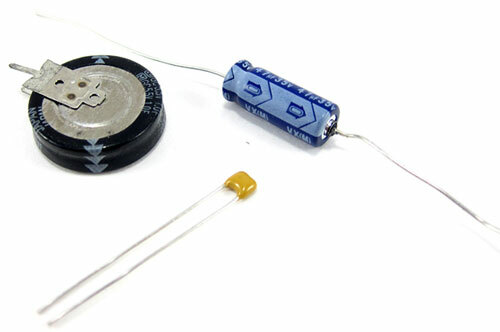 This image shows the same circuit (battery, switch, resistor, and LED) built three different ways: on a solderless breadboard (left), with the components soldered directly together (middle), and on a printed circuit board (right):Soldering is a great technique to learn if you are interested in electronics, but the connections are much more permanent and it requires purchasing some tools to get started. 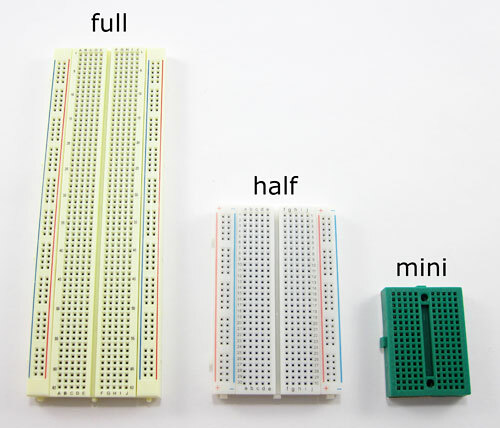 The rest of this tutorial will focus on solderless breadboards, but you can read our soldering tutorial to learn more about soldering. 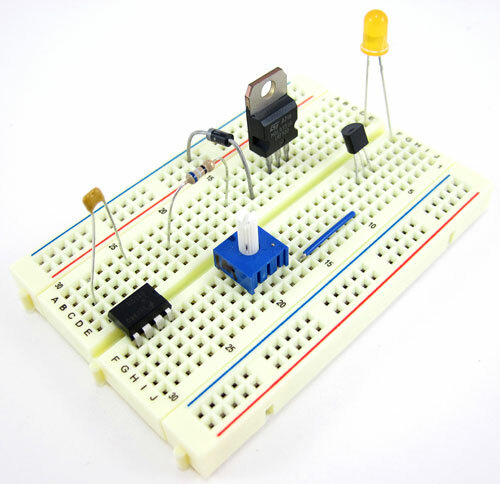 So, how do electronic components fit into a breadboard? 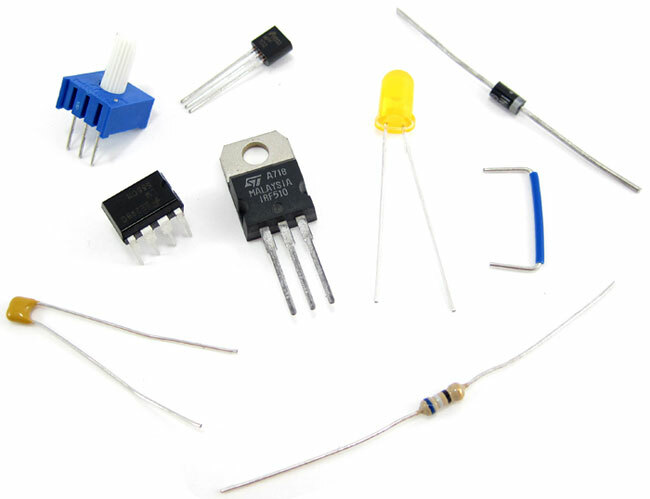 Many electronic components have long metal legs called leads (pronounced "leeds"). 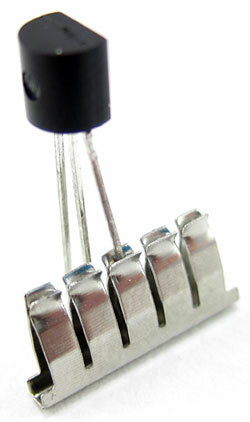 Sometimes, shorter metal legs are referred to as pins instead. 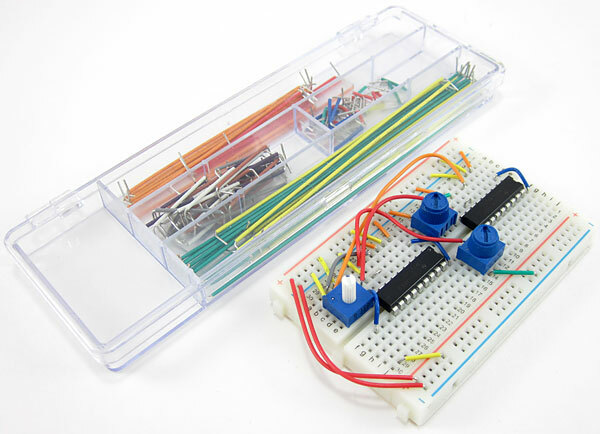 Almost all components with leads will work with a breadboard (to learn more about these components and which types work with a breadboard, see the Advanced section).Breadboards are designed so you can push these leads into the holes. They will be held in place snugly enough that they will not fall out (even if you turn the breadboard upside-down), but lightly enough that you can easily pull on them to remove them. 1) Connect the battery pack's red lead to the power bus. 2) Connect the battery pack's black lead to the ground bus. 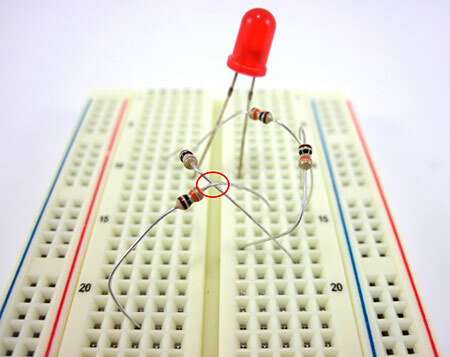 3) Connect the resistor from hole B12 to the ground bus. 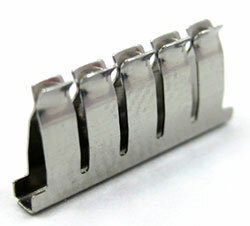 4) Insert the pushbutton's four pins into holes E10, F10, E12, and F12. 5) Insert the LED's long lead into the power bus, and the short lead into hole J10. The short answer is "no." 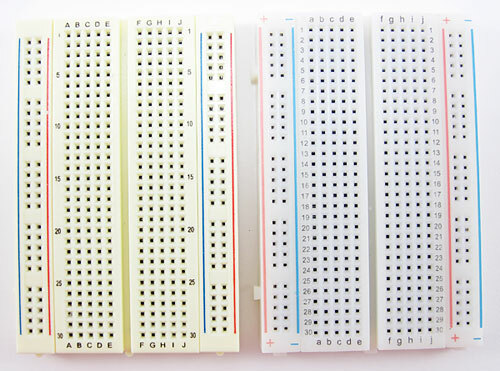 However, when you are first starting out using breadboards, it is probably best to follow the breadboard diagrams exactly. 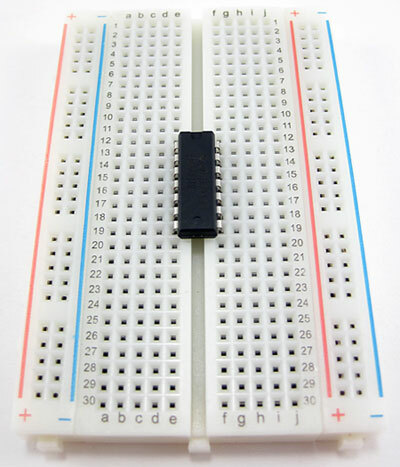 To understand this, it helps to understand how a breadboard's holes are electrically connected. 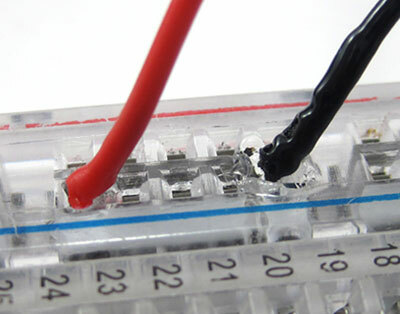 There are different ways to change the physical layout of a circuit on a breadboard without actually changing the electrical connections. For example, these two circuits are electrically identical; even though the leads of the LED have moved, there is still a complete path (called a closed circuit) for electricity to flow through the LED (highlighted with yellow arrows). 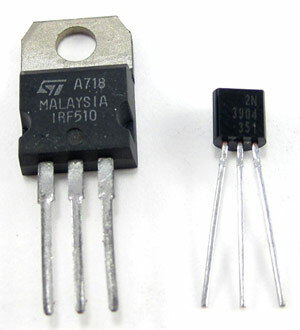 So, even if the directions say "put the LED's long lead in hole F10," the circuit will still work if you put it in hole F12 instead (but not if you put it in hole F9 or F11, because different rows are not connected). 1) If you purchased a pre-cut jumper wire kit, use whatever wire colors are available at the appropriate lengths (left image). 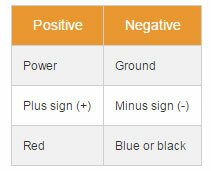 2) Use red and black wires for the positive and negative sides of each LED, respectively (center image). 3) Only use red and black wires for the bus connections, and use red, green, blue, and yellow wire for the respective LEDs (right image). 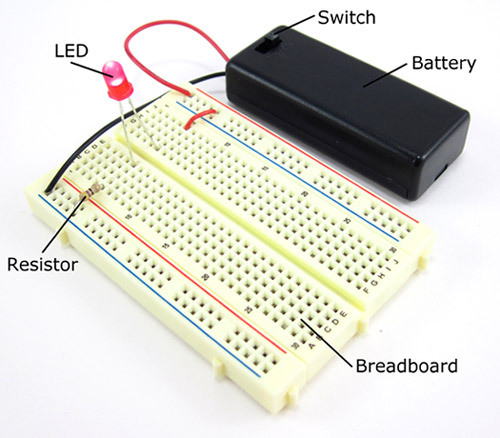 1) Follow the breadboard diagram for the circuit, connecting one component at a time. 3) you turn your circuit on for the first time. 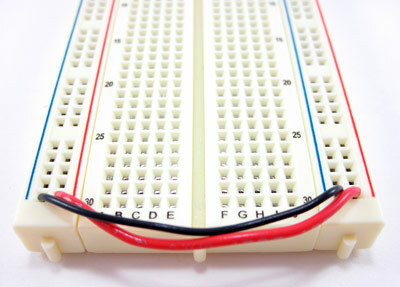 4)Keep an eye out for common mistakes that many beginners make when using a breadboard. 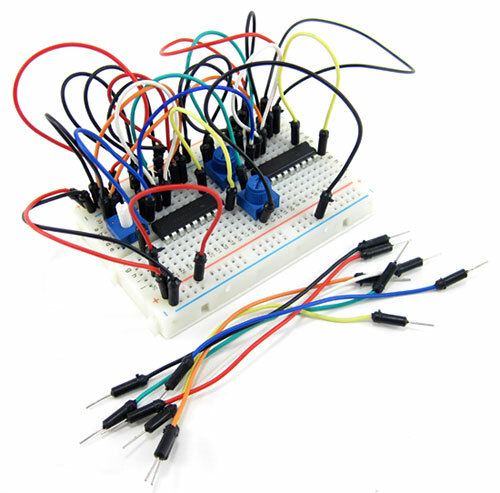 * Double-check your circuit and the breadboard diagram to make sure all your components are in the right place. * Check what your circuit is supposed to do according to the project directions. Is it supposed to flash lights, make noise, somehow respond to a sensor (like a motion or light sensor), or make a robot move? 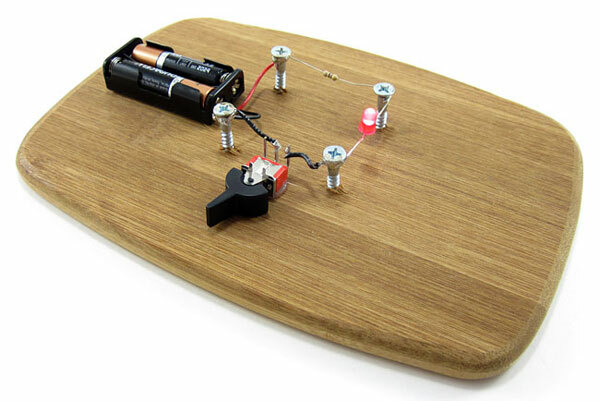 Many Science Buddies projects will contain a written description and/or video of how your circuit should work. 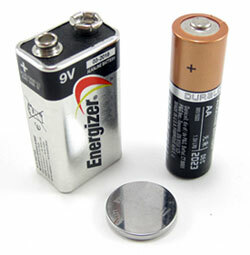 * Turn the power to your circuit on (for example, by sliding a battery pack switch from OFF to ON). If you see or smell smoke, turn off or disconnect the power supply immediately. This means you have a short circuit. 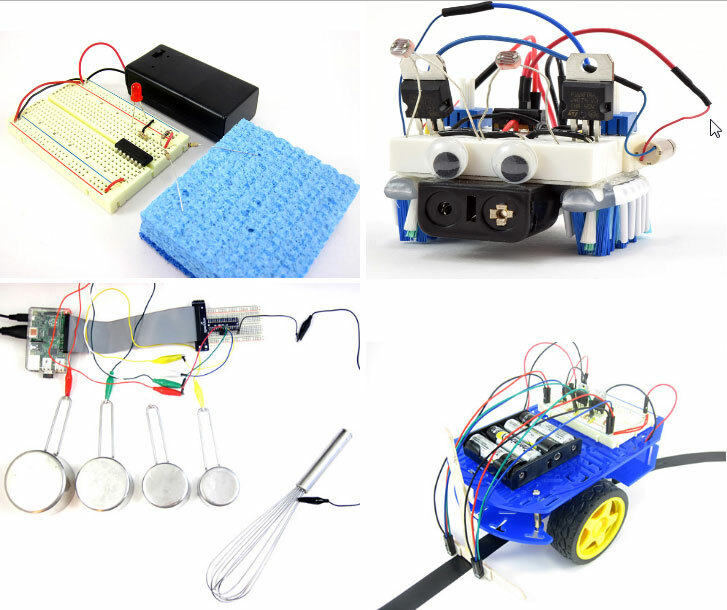 * Follow the project directions to use your circuit (for example, shining a flashlight at a light-tracking robot, or waving your hand in front of a motion sensor). * If your circuit does not work, you need to troubleshoot (or debug, meaning to look for problems or "bugs" in your circuit). See the common mistakes section for things you should check. Do you see the problem yet? 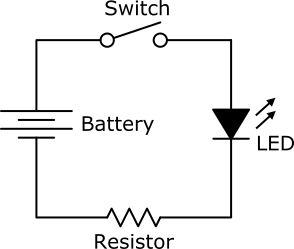 In the circuit on the left, the red jumper wire goes from the positive bus to hole J10, which matches the breadboard diagram. 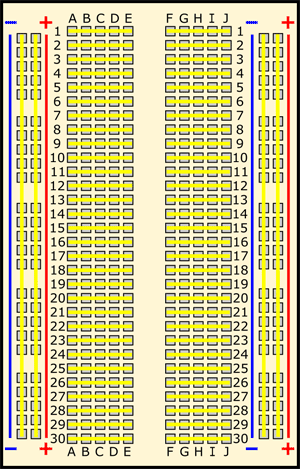 In the circuit on the right, it goes from the positive bus to hole J9. Remember from the section on how the holes are connected that holes in different rows are not electrically connected to each other. 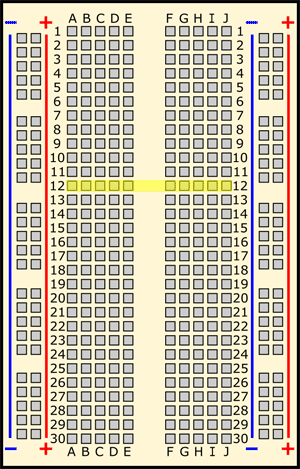 So, with the jumper wire in row 9 and the LED in row 10, there is no way for electricity to flow to the LED. It can be difficult to spot such a tiny error! 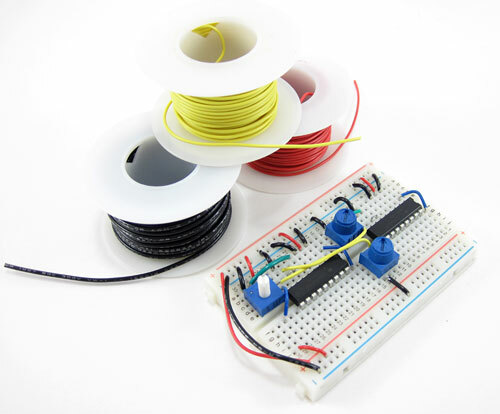 However, it only takes one misplaced wire or component lead to stop a circuit from working completely. This is why you should always carefully check and double-check your wiring before you test a circuit. If your circuit is not working, carefully double-check all your connections and make sure to count the row numbers. Directions on the Science Buddies website will almost always specify which way a component should be facing; for example, "make sure the gray stripe on the diode is facing toward the positive bus" or "make sure the writing on the transistor is facing to the left." 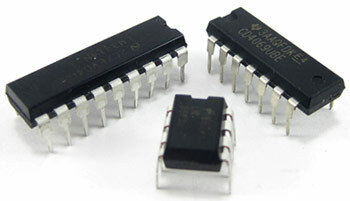 However, some advanced electronics projects may assume you know how to connect certain components properly. 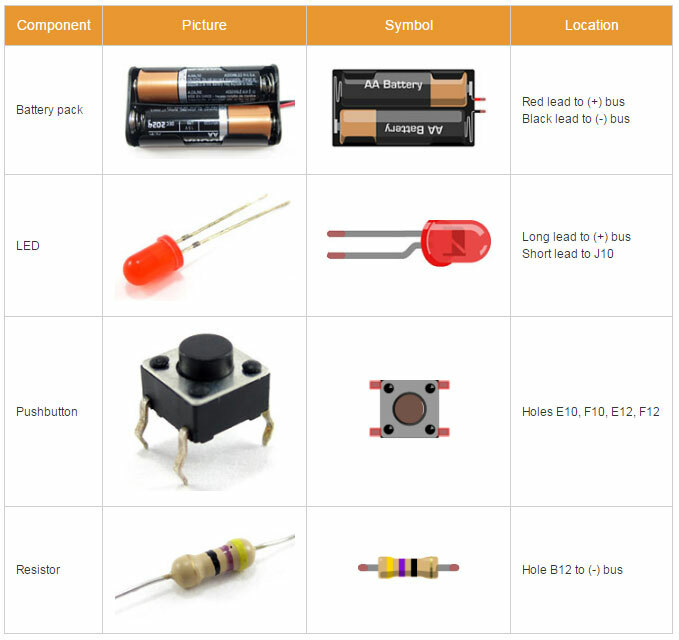 For some electronic components, direction does not matter. 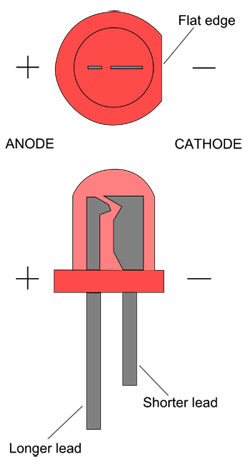 For example, jumper wires and resistors work the same in both directions. Look closely at these two images. Even though the jumper wire and resistor have been flipped around in the picture on the right (the jumper wire has a black mark on one end so you can tell which end is which, and the resistor has colored bands), the LED still lights up. Electrically, nothing has changed in the circuit. 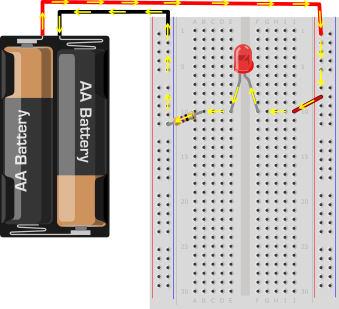 If you have a hard time understanding this, try using your figure to trace the "wire" (the black line) through the circuit, starting at the top of the battery. Notice how your finger still goes through each component in the same order, even though they have been physically rearranged. It takes some practice to learn how to read and interpret circuit diagrams. 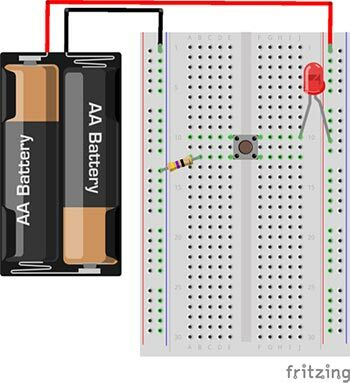 Most beginner electronics projects—especially those on the Science Buddies website—will provide breadboard diagrams that you can follow to build a circuit.